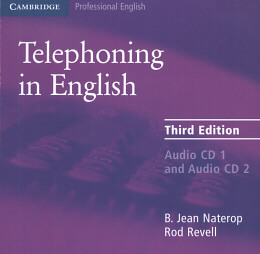 * Telephoning in English is for professionals and trainees in business, commerce and administration who need to be able to make and receive calls. * It can be used in class or for self-study. * The course has been revised and updated to take into account the most important recent developments in telecommunications. * It has also been redesigned in a larger format and is now in colour.md Talking and Writing.through improvisations around the business themes.